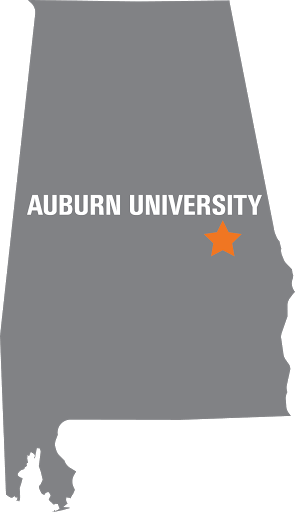 Auburn University is advancing the engineering campus and its learning environments through more than $65 million in new construction and renovations. With a share of the largest gift in the university’s history, the college is constructing a state-of-the-art, comprehensive student support center thanks to the generosity of John and Rosemary Brown, both 1957 graduates. 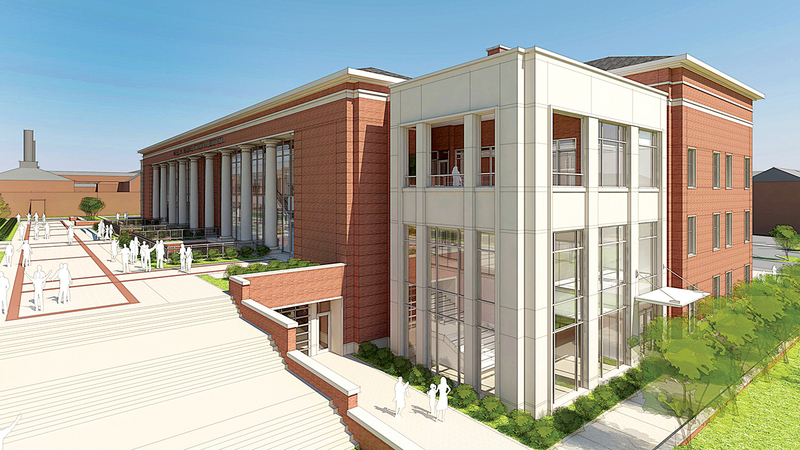 Construction of the Brown-Kopel Engineering Student Achievement Center is made possible thanks to a $30 million gift from the Browns, part of an overall $57 million gift that was announced in April 2015 at the Because This is Auburn – A Campaign for Auburn University kickoff event. The 142,000-square-foot Brown-Kopel Engineering Student Achievement Center will consolidate a multitude of student support services into one facility. This building will house resources for students from freshman year through graduation, including recruiting and scholarships; academic advising; tutoring and learning; professional development and corporate relations; a design and innovation center; and more than 40 collaborative study areas. Located in the heart of campus, this facility will specifically address students’ professional and academic needs, providing one of the most comprehensive, active-learning environments in the country. In cohesion with the college’s vision to provide the best student-centered engineering educational experience in America, the center will also create greater opportunities for collaboration among faculty members and students, creating a sense of home within the engineering campus. The first floor of the building will include a design and innovation center, which will consist of student-maker spaces, laboratories, shops, project incubators, study rooms, a flexible classroom, computer labs and more, while also serving as the home for engineering student organizations. The second floor will house a tutoring and learning center, academic advising center, student recruitment center, professional development and corporate relations center, the Engineering Academic Excellence Program for underrepresented students and offices for support staff. The third floor will incorporate ample, spacious student study areas with large-group and small-group study rooms, two large flexible classrooms, boardrooms, conference rooms and a grand hall, all outfitted with the latest smart technologies. “This facility will allow us to be capable of significantly transforming the personal and professional successes of tomorrow’s Auburn engineers by providing students with the highest level of hands-on experiences and academic support throughout their college experience." In addition to the construction of the Brown-Kopel Engineering Student Achievement Center, the college has renovated the former Textile Building — now the Gavin Engineering Research Laboratory — thanks to a generous $10.5 million gift from Charles Gavin and his late wife, Carol Ann. The renovation of the Gavin Laboratory allowed the college to demolish the Engineering Shops and L Building, and create the Carol Ann Gavin Garden. The Textile Building was originally constructed in 1929 to prepare future engineers for the textile industry, and it has served as a vital component to economic development in the region and state for more than eight decades. An additive manufacturing facility will be incorporated into the building renovation to allow students to gain experience with emerging fabrication technology, as well as the new Center for Polymer and Advanced Composites to continue the college’s research in this area and to meet industry needs. The renovated structure will include traditional research laboratories, as well as a facility for the Nuclear Power Generations Systems Program, a new wind tunnel system, a pulp and paper pilot machine, a series of hands-on student project areas and collaborative meeting spaces. The south entrance of the Gavin Engineering Research Laboratory will also be renovated to allow students more convenient entry to the building when coming from the heart of campus, while also providing access to the Brown-Kopel Engineering Student Achievement Center. Broun Hall, the home of the Department of Electrical and Computer Engineering, has been renovated to include the Davidson Pavilion, which has transformed the area most used by students and includes a new main entrance that allows natural light into the first two floors. The renovation was made possible thanks to a $5 million gift from Dorothy Davidson in honor of her late husband Julian, a 1950 electrical engineering graduate and defense industry pioneer. These facilities upgrades come on the heels of more than $173 million in construction over the past 20 years.